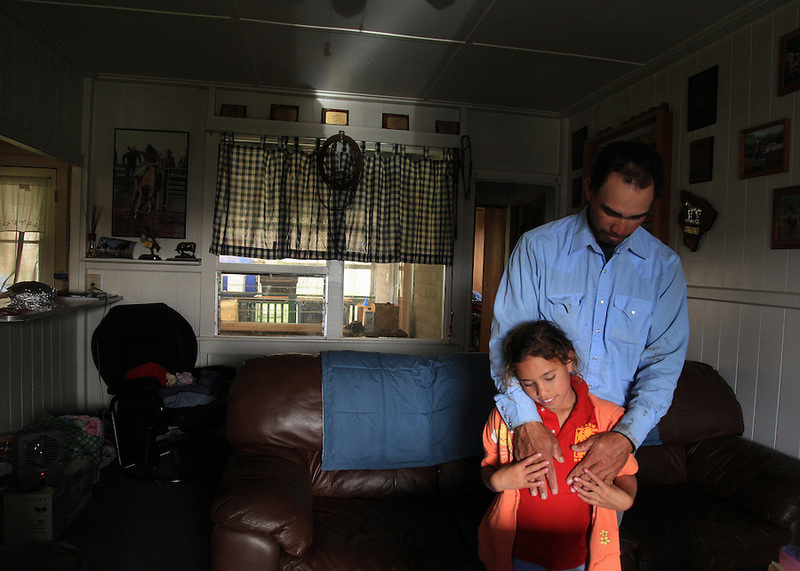 Hawaiian cowboy, Wayne Tachera and his daughter, Nahe, 9, share a tender moment at their home on Kahua Ranch in North Kohala, Hawaii. The house is part of "cowboy housing" which is subsidized by the ranch as part of a cowboy's benefit package. "We get free housing, free electricity, free water. It makes up for cowboy pay because cowboy pay is not much at all"," says Tachera. Nahe and her sister, Kamehana, are very close to their father who taught them to ride horses as toddlers and took them to work with him when childcare wasn't available.